About this session: This is a workshop session which uses a modified version of LeCoq's stick work to help a group of actors/students/people quickly establish a collaborative ensemble. Working first individually, then in the full group, and then in smaller groups, we will use bamboo sticks to physically manifest a generous, welcoming, and fully participatory creative process. These exercises encourage eye contact, honest reactions, and full body physical expression, and they create a common language among participants that is non-hierarchical, and is especially useful when working with a group of people from disparate backgrounds. Workshop attendees will be expected/encouraged to participate in the exercises themselves. The workshop will then conclude with a discussion of the exercises and specifics about leading them in your own classroom/rehearsal room/workplace. 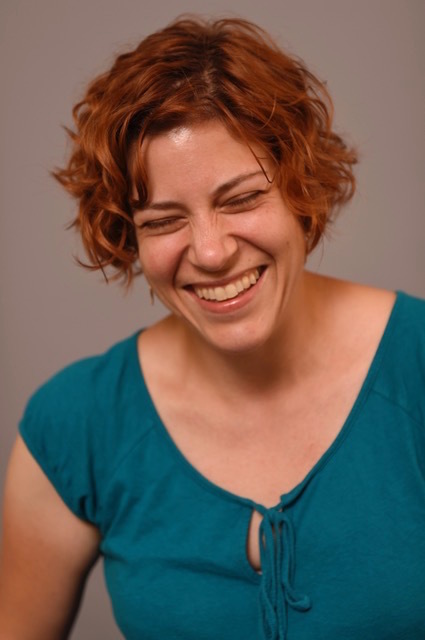 Jemma Alix Levy is the founding Artistic Director of Muse of Fire Theatre Company and an Assistant Professor of Theater at Washington and Lee University. After receiving her BA from Amherst College, Jemma graduated from The Juilliard School's directing program, and then earned an MA in Humanities from the University of Chicago and an MFA in Shakespeare and Performance from Mary Baldwin College's program in association with the American Shakespeare Center. Her directing work includes critically acclaimed productions in New York, New Jersey, Texas, and Illinois, including 8 Shakespeare productions for Muse of Fire. Most recently, she directed The Taming of the Shrew and The Two Gentlemen of Verona (American Shakespeare Center's touring company), and Macbeth (Quill Theatre, Richmond, VA). Her playwriting includes two Shakespearean adaptations: Queen Margaret, from the Henry VI tetralogy and Richard III; and Believe None of Us, from Hamlet. Jemma has also taught theatre and directed at Webster University's Conservatory of Theater Arts, Wabash College, Roosevelt University Chicago College for the Performing Arts, Mary Baldwin College, and The Brearley School. This summer she will direct The Merchant of Venice for Notre Dame Shakespeare Festival's Touring Company, and Richard III for Muse of Fire.